The Series 11QD HDKBN generator is computer controlled for constant speed operation. It is built with a unique sound controlled housing and sound shields, minimising noise and delivering better sound quality. There is a four-point semi focalised internal mounting system to reduce vibration. The generator has self-diagnostic capabilities to simplify trouble shooting and can come with an optional Cummins Onan digital display which provides user-friendly diagnostics including extensive engine and alternator information, self-diagnostic features and text display. It operates with a remote cooling package, features service and maintenance points accessible through easy latch side doors, has control panel mounted switches, and has an automatic glow plug to eliminate preheat time uncertainty. 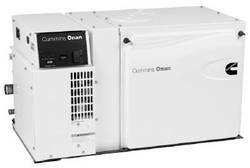 Cummins Onan products are supported worldwide by certified distributors and dealers.